The world’s 1st mixed reality ski competition organized by 3DLive took place at the 15th Wearable Technologies Conference Munich, Germany, 2-3 Feb 2015. A professional skier raced at Schladming (Austria), one of the word’s famous ski slopes, against two online gamers located in Munich and Thessaloniki, Greece. All the players were immersed into the same virtual world and run against each other for the winning trophy. 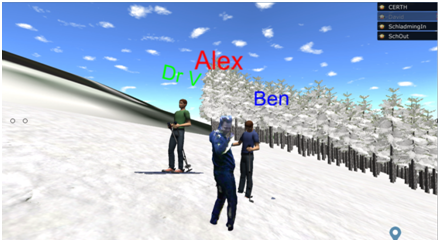 The virtual world was a 3D replica of the real ski slope at Schladming. The professional skier was equipped with a smartphone and smart ski googles that allowed him to see the virtual world, the rest of the players and information concerning the race. He was represented into the virtual world as an avatar. 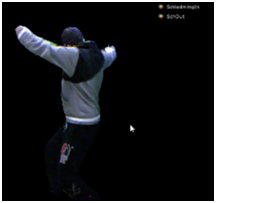 The online gamer at Munich was using a Microsoft Kinect, an Oculus Rift and a Wii balance board. 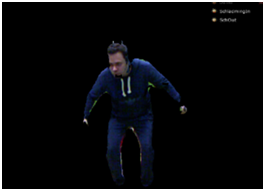 He was immersed into the virtual word as an avatar that accurately followed his movements via motion capturing technology provided by the Kinect. Via the Wii board the gamer was able to navigate on the slope while the Oculus Rift would allow him to see the other replicas of the users and enhance the experience of immersion into the 3D world. 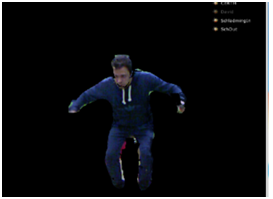 On the other hand, at Thessaloniki, CERTH, the gamer was utilizing 4 Microsoft Kinects for motion sensing and a Wii balance board for navigation. This setup allowed for the gamer to be 3d reconstructed and immersed into the game, enhancing the interaction with others. All the participants were wearing a headset and were in a continuous voice communication before, during and after the race. After 4 races, the Greek gamer won the game and lifted the winning trophy.